El Salvador’s Presidential Election Outcome: End of Traditional Politics? El Salvador’s Historic Presidential Election Outcome: End of Traditional Politics? Over a week ago, Nayib Bukele, the young former Mayor of San Salvador, won El Salvador’s presidential elections with a first-round victory that saw him receive over 53 percent of the public vote. This is a remarkable achievement given that it comes at the expense of the incumbent left-wing FMLN and conservative ARENA parties that have dominated politics in El Salvador since the end of the nation’s civil war in 1992. Over the three decades that ARENA (1989-2009) and the FMLN (2009-2019) have held office, the country has suffered precarious levels of employment, widespread poverty, and an upsurge in gang-related violence. These factors combined have forced many Salvadorans to leave their country and make the dangerous journey to the United States in search of greater possibilities. Within this panorama, the triumph of Bukele can be seen as a popular response to the deteriorating conditions that the nation is experiencing; yet it is also a message of defiance to the bipartite political system that has overseen this decline and which the leadership of both the FMLN and ARENA have been accused of benefitting from. The fact that only 45 percent of the eligible population voted, the lowest electoral turnout in 20 years, demonstrates a lack of confidence in this system. Similarly, that Bukele won without defining a clear ideological position and without proposing any clear-cut policies is illustrative of the simple desire for something different that is palpable in a country in which he won in 74 percent of the municipalities. Bukele’s electoral campaign centered on offering an alternative to the political establishment. His promise to tackle the corruption that runs through it won him significant support. It is a system that he is familiar with, having held elected positions within the FMLN, before his expulsion by a leadership increasingly maddened by his criticism of them. The threat that Bukele poses to the status quo has been acknowledged on both sides of the political divide. There were widespread claims of collusion to prevent his candidature. The Electoral Tribunal, dominated by the interests of the FMLN and ARENA, initially blocked his registration as the candidate of his popular movement, Nuevas Ideas, before canceling the political credentials of the CD party that subsequently offered him a leadership position. There is a certain irony that GANA, the party that finally provided Bukele with the platform to make his presidential bid, was formed by ARENA members that had become disillusioned following their loss of the presidency in 2009. Founding head of the party and ex-president of ARENA, Antonio Saca, is currently imprisoned for illicit enrichment during his period in office. There is no suggestion that this has been anything other than a pragmatic arrangement. Bukele had not campaigned under the banner of GANA and has distanced himself from a political system tainted by decades of corruption and scandal. On announcing Bukele as their candidate, the party discarded their traditional colors, and it has been under the sky blue of his Nuevas Ideas movement and its insignia of a swallow in flight that he has carried his campaign to victory. 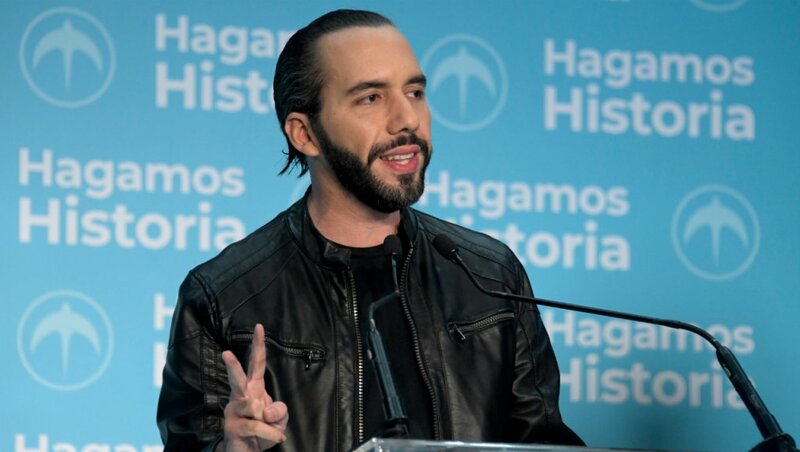 a triumphant Bukele announced to his predominantly young supporters, who had made effective use of social media throughout the campaign to turn the movement that had gathered behind him into one of popular resistance to the political system. Bukele’s victory has already begun to effect changes. The historic leadership of both the FMLN and ARENA have since resigned their positions, recognizing the need to adapt to changing times. 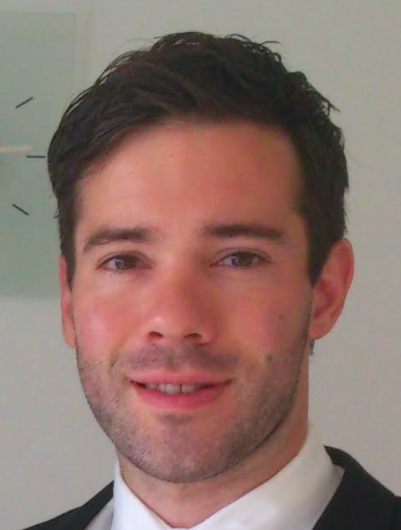 The past years have seen young progressive politicians from both sides marginalized or forced out, and a poor electoral showing should now lead to their influence being felt more keenly. Bukele will need the support of progressive voices from across the political spectrum if he is to gain any traction within a Congress filled with those that he has openly challenged to arrive at this point. GANA hold only 11 out of the 84 seats; of the others, ARENA and the FMLN hold 60 between them, with the remainder in the hands of predominantly conservative-thinking representatives. Even when Bukele were to negotiate their backing on a case-by-case basis, he would still face a considerable task to build majority support. At this moment, Bukele’s most committed ally would appear to be the Salvadoran voters that have put him where he is. Of course, it is one thing to channel their discontent effectively, but it has to lead somewhere, and the challenge that could define whether he continues to maintain popular support will come through his ability to make the change that he represents concrete. Ten years ago, when the FMLN came to power, a similar wave of enthusiasm was felt throughout El Salvador; in this elections, they secured 14 percent of the vote. Certainly, during their period in office, the FMLN made many mistakes; however, their weak performance must also be understood in relation to the political and economic reality that confronted them, one that Bukele will also face. Legislative elections are scheduled for 2021, in which Bukele will hope to significantly increase GANA representation in Congress. Between now and then, he must take advantage of the groundswell of popular support and maintain the momentum that has picked up behind him. An initial move has been to establish an online platform for direct democracy through which citizens can propose the policy initiatives that they would like his government to pursue. To now, Bukele has shown himself willing to call out those that he believes are acting against the interests of the population and he would certainly do the same should they show an appetite to derail his movement. His victory has put opposition members of Congress on the ropes, and they surely realize that their seats will be firmly in play in two years. The hope must be that they will get behind the new way of governing championed by Bukele and begin to listen to the population that they represent. Disclaimer: The views and opinions expressed here are those of the author and do not necessarily reflect the editorial position of The Globe Post. Will El Salvador’s New President Live Up to the Image People Voted for?